New traffic safety statistics provide a wake-up call for America about the public safety threat that is drowsy driving. About 1 in 6 fatal accidents involves a drowsy driver, the AAA Foundation for Traffic Safety reports. And there’s a 41 percent chance you’re part of the problem, study results show. Approximately 2 out of every 5 drivers admit to drifting to sleep behind the wheel at some point in their lives. About 10 percent nodded off while driving within the past year. Alarmingly, half of the survey respondents the incident said it happened on a busy highway. Drowsy driving is the cause of an estimated 4,400 deadly crashes per year, accounting for 17 percent of all fatal accidents on U.S. roadways. You may think most drowsy driving accidents happen in the pitch black and bleary-eyed overnight hours, but findings show the afternoon rush is actually slightly more risky. Teens and young adults are most likely to cause drowsy driving accidents. The risk is 78 percent higher compared to middle-aged adults, and may be the symptom of a larger problem. The American Academy of Sleep Medicine reports teens need more sleep than adults, yet rarely achieve it on school nights. More than a quarter of teens are badly sleep deprived while only about 15 percent of teens sleep 8.5 hours on a given school night. In many cases accumulated sleep debt can be as great as five to 15 hours per week, the equivalent of total sleep deprivation. In severe cases the effects of sleep deprivation are comparable to alcohol intoxication. Teens’ inexperience at the wheel worsens an already dangerous scenario. Men cause more drowsy driving-related accidents compared to women. The study doesn’t provide a reason, but men are more likely to have obstructive sleep apnea, a breathing disorder that can wreck your sleep and make it difficult to stay awake and alert in the daytime. 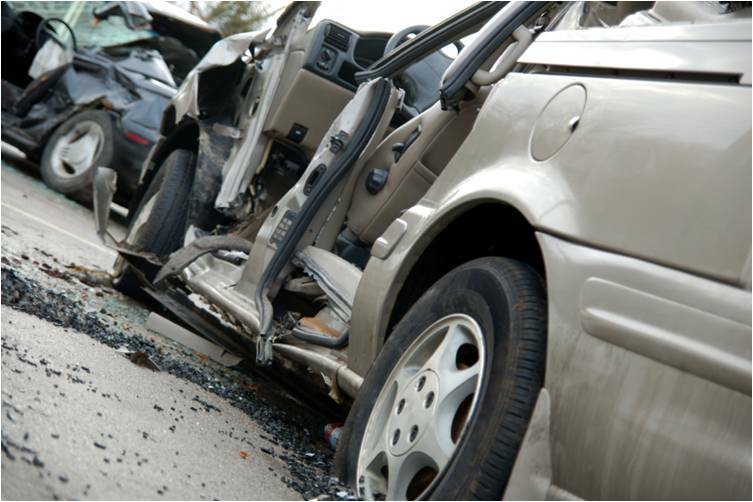 Accidents most often occur within the first hour of driving. Most people don’t realize they may struggle to stay awake towards the beginning of a trip, the study found. 2. Inability to keep your eyes open. 3. You catch yourself “nodding off” and have trouble keeping your head up. 4. Trouble remembering driving the last few miles. 5. You end up too close to cars in front of you. 6. Missing road signs or driving past your turn. 7. Drifting into the other lane of traffic. 8. Drifting onto the “rumble strip” or onto the shoulder of the road. If you find yourself doing any of the things listed above, pull over and take a nap. Drink a cup of coffee and wait a half hour for the caffeine to enter your bloodstream for the boost in alertness you need to finish the trip. Always get a full night’s sleep before driving. If you can’t sleep, arrange for a ride from a friend. Make the right choices before and after you get behind the wheel and avoid being one of the 41 percent of Americans who drive drowsy.